Genuine Fender® American Standard, Deluxe, Elite and Professional Stratocaster® Gold bridge mounting pivot pin. This pin is sold individually, two are pins required for a bridge installation. 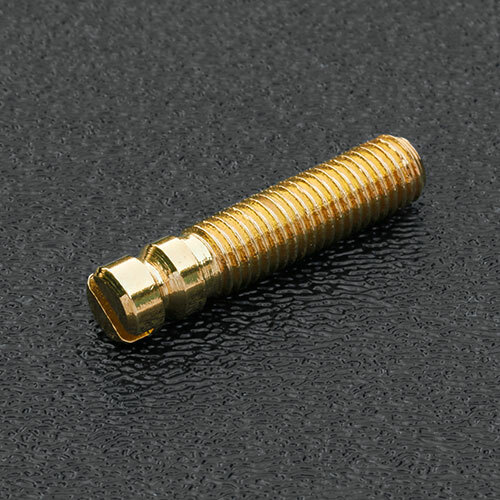 This pin is installed in the brass bushing / insert # 002-8958-049.